American Express has loaded a set of fresh travel-related statement credit offers. I can only see these ones on my Amex Platinum account at the moment, but it’s worth checking other cards too. Full terms and conditions for all offers at the bottom. 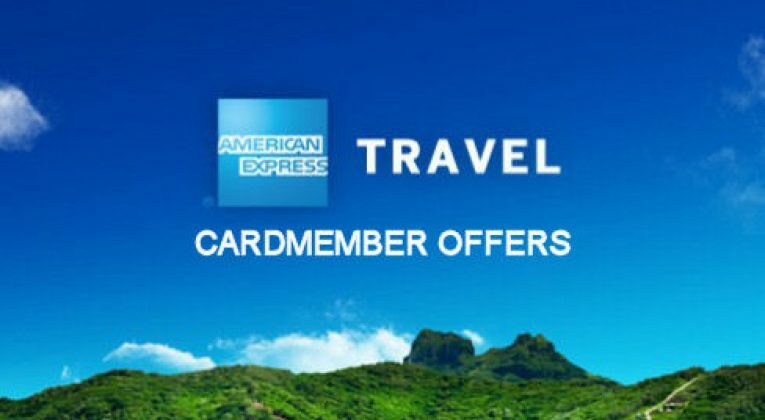 If you have an American Express card issued directly by American Express (Amex Gold/Platinum, SPG, BA/BAPP etc), simply login to your American Express online account, scroll down to the “offers” tab and then click on “save to card” when you see the relevant offer. Spend must be billed to your Card account by 15/11/2018, to be eligible for this offer. If American Express Travel does not charge your Card during this period, e.g. because of a delay in dispatching your goods, you may not be eligible for this offer. Offer only valid on pre-paid hotel, flight, car hire or experiences booked through American Express Travel. Cruise booking and hotels booked through the Fine Hotel and Resort and The Hotel Collection are not eligible. Book and pay by the offer end date. Credit should appear on your billing statement within 5 days from qualifying spend but may take up to 90 days from 15/11/2018. Book and pay between 13th August, 2018 and 14th October, 2018 to receive a £30 statement credit when you spend £100+ at theseparticipating locations. Offer valid on checkout spend only. Bookings must be made online at www.radissonblu.com and www.radissoncollection.com/en or at participating hotel locations. Offer only applies to spend settled in Great British Pound (GBP) on the Card to which the offer is saved, including an American Express Card loaded into a mobile payment wallet. The £30 statement credit will only be rewarded if the spend threshold of £100 (Great British Pounds (GBP) is met). Should the amount charged not meet the spend threshold due to a fluctuation in the exchange rate, the statement credit will not be rewarded. Offer does not apply to spend on other Cards you might hold and is not valid for transactions made using third party Payment Aggregators. Only one £30 statement credit is valid per UK Card. This promotion is intended for UK Cardmembers only. A rewarded credit may be reversed if qualifying transaction is refunded or cancelled. Credit should appear on your billing statement within 5 days from qualifying spend but may take up to 90 days from 14th October, 2018. Spend must be billed to your Card account by 14th October, 2018 to be eligible for this offer. If Radisson Blu or Radisson Collection does not charge your Card during this period, e.g. because of a delay in your transaction being processed, you may not be eligible for this offer. Offer valid at participating Hotels. Book and pay by 30 September 2018. This promotion is intended for UK, Card members only. Offer available when booking on www.hyatt.com and on check out spend. Statement credit will only be rewarded if the spend threshold of £300 (Great British Pounds (GBP)) is met. Should the amount charged not meet the spend threshold due to a fluctuation in the exchange rate the statement credit will not be rewarded. Only one £60 statement credit per UK Card. Offer only available to the first 10,000 Cardmembers who save the offer to their Card. Credit should appear on your billing statement within 5 days from qualifying spend but may take up to 90 days from 30 September 2018. Spend must be billed to your Card account by 30 September 2018 to be eligible for this offer. If Hyatt does not charge your Card during this period you may not be eligible for this offer. Offer only valid at participating hotels. Offer not valid at The Peninsula Chicago and The Peninsula Manila. Book, pay at hotel checkout and stay by 31 December 2018. Offer excludes online payments and is only valid on checkout spend. Offer only available to the first 20,000 Cardmembers who save the offer to their Card. This promotion is intended for UK Cardmembers only. Offer is only intended for the targeted recipients of this offer. Offer does not apply to spend on other Cards you might hold and is not valid for transactions made using third-party payment aggregators. Only one £100 statement credit per UK Card. Statement credit will only be rewarded if the spend threshold of £500 (Great British Pounds (GBP)) is met. Should the amount charged not meet the spend threshold due to a fluctuation in the exchange rate, the statement credit will not be rewarded. Spend must be billed to your Card Account by 31 December 2018 to be eligible for this offer. If The Peninsula Hotels does not charge your Card during this period, you may not be eligible for this offer. Credit should appear on your billing statement within five days from qualifying spend but may take up to 90 days from 31 December 2018. Book and pay by 15 November 2018. Statement credit will only be rewarded if the spend threshold of £250 (Great British Pounds (GBP)) is met. Should the amount charged not meet the spend threshold due to a fluctuation in the exchange rate the statement credit will not be rewarded. Only one £30 statement credit per UK Card. An rewarded credit may be reversed if qualifying transaction is refunded or cancelled. Credit should appear on your billing statement within 5 days from qualifying spend but may take up to 90 days from 15 November 2018, provided that American Express receives information from the merchant about your qualifying purchase. Spend must be billed to your Card account by 15 November 2018 to be eligible for this offer. If Accor does not charge your Card during this period you may not be eligible for this offer. Only one £20 statement credit per UK Card. Offer available online at www.sixt.co.uk/amex2018 until 14 October 2018. Cardmembers must book, pay and complete rental by 14 October 2018. To see a list of locations, click here. Promotion is intended for UK Cardmembers only. Credit should appear on your billing statement within 5 days from qualifying spend but may take up to 90 days from 14 October 2018. Available on UK domestic rentals only. Offer only valid on Sixt Rent a Car or Sixt Rent a Truck. Sixt ‘s rental terms apply, to view visit www.sixt.co.uk/terms. I can confirm that multiple spends at Amex travel does trigger the cashback bonus and not required to spend £600 in one go. Thank you, does make a big difference. And Amex chat and phone have told me several times that it must be a single 600+ transaction. Can I ask what different transactions you booked? just flights? I want to book two separate hotels and a car rental to get above £600, just want to make sure it will all work before I go ahead, as it’s not cancellable. Almost makes me sad for junking the Platinum card and downgrading to PRG, as I used to get these offers regularly on my Plat but so far nothing has come up on the Gold. The SPG card was even worse – it was my default card for spending over the course of a year and I only ever got one solitary offer on it… 3% discount at Prezzo! The Plat was useless for earnings so never came out of my wallet but that was the one that all the juicy offers appeared on.